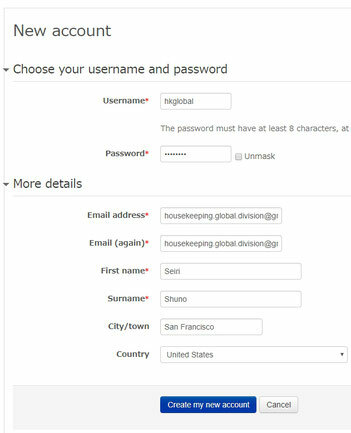 Creating a new account for online learning (eLearning), using the website provided by Housekeeping Association. Please access the online learning (eLearning) website provided by Housekeeping Association and create a new account. ※Fields marked with red asterisks * are required. 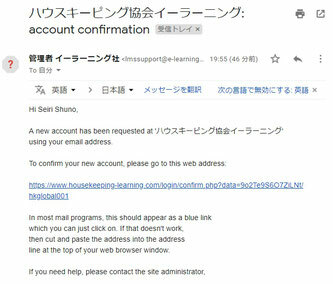 After creating an account, an email from Imssupport@e-learning.co.jp will automatically be sent to you. Please click on the URL link provided in the email. When a “Thank you” message appears, please click on the “Course” button. Please click on “Seiri-Shuno Sawa Method Basic Seminar” and read the terms of service. The service period is six (6) months from the completion of payment. Please read the terms of service carefully and proceed with the PayPal payment (9,270 yen including tax), only if you agree to the terms. ＊ If you don't have a PayPal account, create your account first. After the PayPal payment is completed, you can start the online learning (eLearning) course. Please register for the online learning service only if you agree to the terms of service. 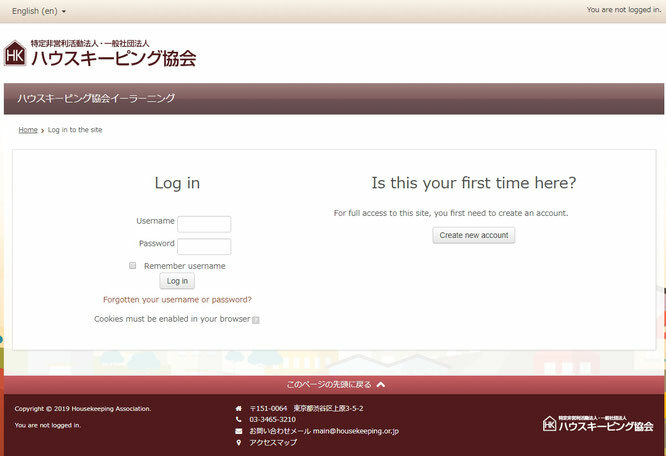 Please add the domain @e-learning.co.jp. onto your safe senders list, in order to receive the auto-reply email.